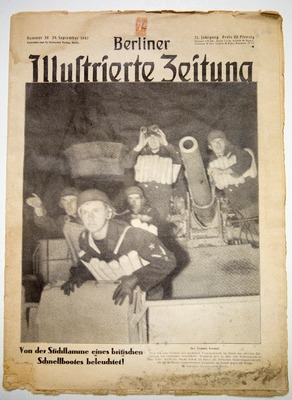 This collections includes several newspapers and historical documents donated to McKee Library, including four April 1912 issues of "The Chattanooga News" that discuss the sinking of the RMS Titanic and the September 22, 1891 issue of "The Atlanta Journal Weekly," and the September 24, 1942 issue of Berliner Illustrierte Zeitung. 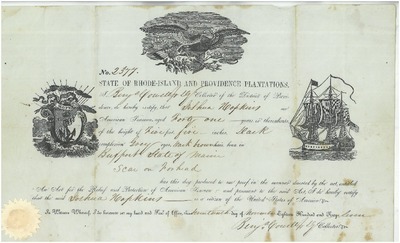 This document was donated to McKee Library in memory of Dr. Benjamin McArthur in 2017. 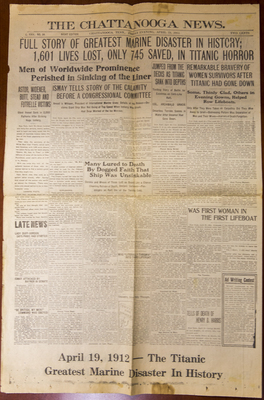 Digital photograph of The Chattanooga News from April 16, 1912 featuring articles about the sinking of the Titanic. 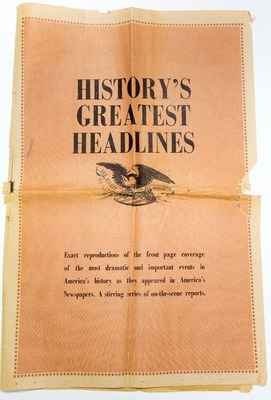 Robert A. Lorren and Barbara E. Moore donated four newspapers in memory of their mother, Cloie Ashby Lorren Massengill. Mrs Massengill attended Southern Junior College from 1930 to 1932, graduating with an Elementary Education degree. She was born on April 14, 1911, in Memphis, Tennessee, and died on May 28, 2006. Mrs. Massengill taught for one year and later worked at College Press as a proofreader until she retired. 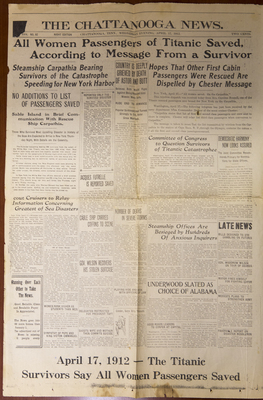 Digital photograph of The Chattanooga News from April 17, 1912 featuring articles about the sinking of the Titanic. 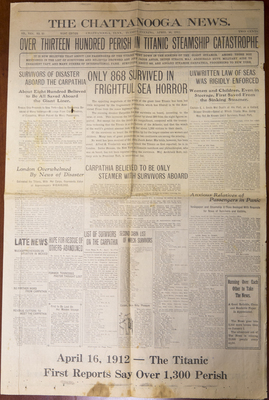 Digital photograph of The Chattanooga News from April 18, 1912 featuring articles about the sinking of the Titanic. 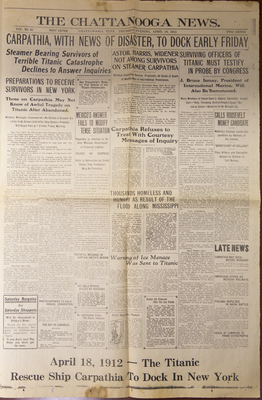 Digital photograph of The Chattanooga News from April 19, 1912 featuring articles about the sinking of the Titanic. 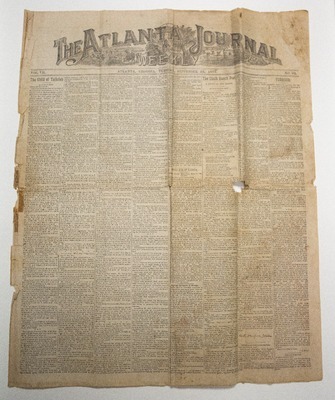 Tom Carter, who served as the Southern Union planned giving and trust services director, donated the Tuesday, September 22, 1891, issue of The Atlanta Journal Weekly to McKee Library. This publication was featured in the 2012 Southern Tidings article "Memories From an Early Adventist Camp Meeting," written by Mr. Carter.